A collection made specially for the ladies who love something simple yet stylish for Raya. The collection offers several options such as the Modern Dress and Modern Baju Kurung with also separate tops and skirts for you to mix and match according to your style and preferences. Made from a weather-friendly fabrics such as satin and crepe, making it perfect for our warm tropical weather. As for colors, a selection includes yellow, red, green, pink, blue, brown, cream and off white. The collection is priced from RM 159 to RM 329. This luxe collection has 3 editions with varieties to choose from, 16 designs for 'JLuxe 2018', 17 designs for 'JLuxe Raya 2018' and 15 designs for 'JLuxe Exclusive', a total of 48 pieces, making it the biggest edition of the JLuxe collection. The collection highlights on sequins and laces, and the quality of embellishments and detailing of the products. 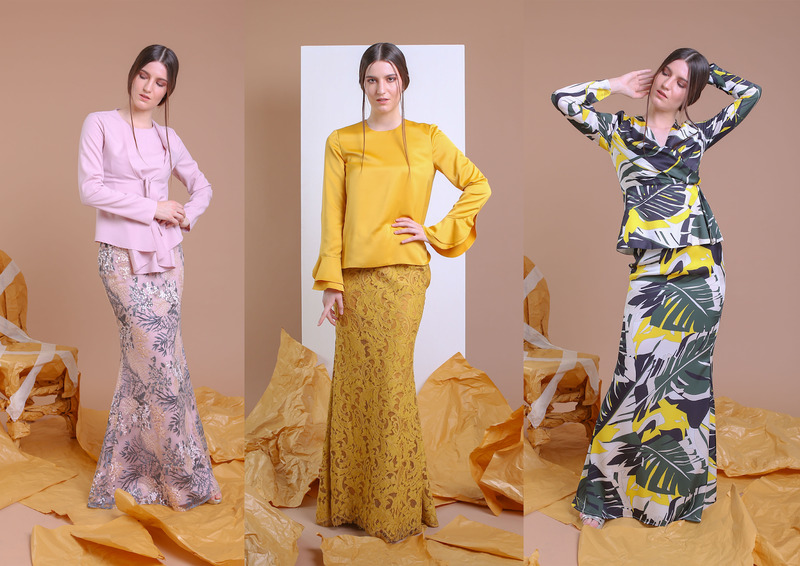 Also, it offers several design such as the peplum, modern baju kurung and modern dress in a subtle colour palettes like blue, cream, grey, green, black, brown, pink and lilac. Jovian Luxe collection ranges from RM 450 to RM 850 for 'JLuxe 2018', RM 500 to RM 590 for 'JLuxe Raya 2018' and RM 500 to RM 590 for 'JLuxe Exclusive'. Once again The Balik Kampung collection is back with new and latest designs with prints that will cater to everyone, this year's Lebaran. The collection is not only available for women but also for the little ones too, with a total of 38 designs for women and girls, making it perfect for that mother-daughter look. Famous colour palettes are picked with several options as to cater to everyone's taste's such as white, beige, pink, purple, blue, green, black, peach, maroon and brown. Collection prices start from RM 420 to RM 600 for the adults and RM 300 to RM 340 for kids version. 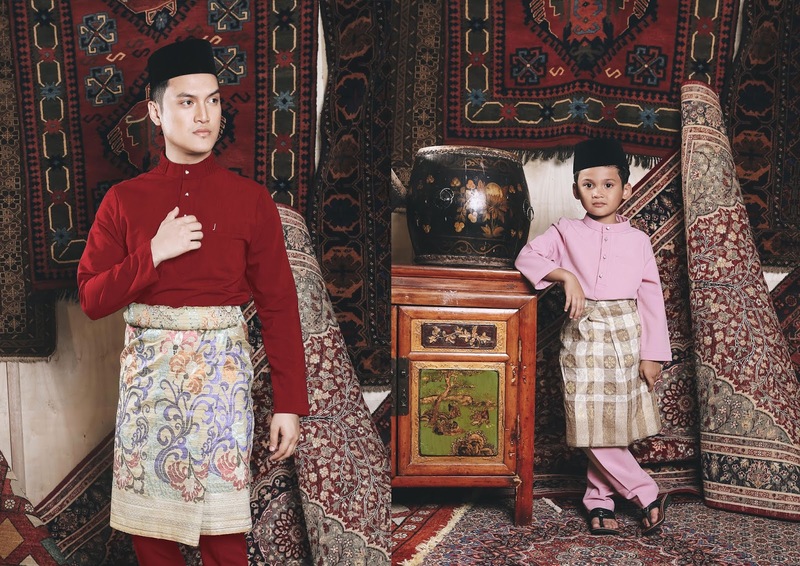 Jovian RTW releases its Baju Melayu line for men who seek for something sleek yet dashing. Designed with a 'J' embroidery on pocket and pleats at the neck line then completed with gold and silver buttons; this collection comes in 19 colours with variety of shades and that include pink, red, black, green, grey, blue and brown. Other than that, it also comes in a kid friendly version too. Men collection prices are at RM 260 for adults and RM 169 for kids. All Jovian Lebaran Collection is already available at all Jovian Stores (JStores) and online www.jovian.com.my/shop.